Travel on the former Lackawanna line from the Catawissa Legion to Northumberland, Pa., and return. Enjoy historic sights as you travel along the scenic Susquehanna River. No pets, smoking, or alcohol allowed. Two tripd leaving promptly at 10:30am and 2:30pm. Purchase tickets on Eventbrite. Operated by North Shore Railroad, sponsored by Roaring Creek and Catawissa Valley History Group. please confirm details with event sponsor. Clinchfield 800, a streamlined EMD F7 diesel built in 1948, has been assigned by CSX to lead Chesapeake & Ohio 2716 to its new home in Ravenna, Kentucky, at the end of July. Thanks to cooperation from CSX and RJ Corman, Chesapeake & Ohio 2716 will be making a triumphant journey to Ravenna, Ky., July 26 through 28. Former Amtrak CEO Joseph H. Boardman died while on vacation with family on March 7 after complications from a stroke days before. 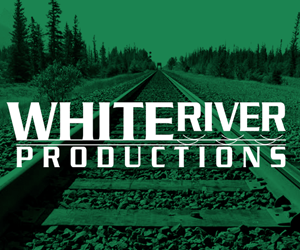 Railfan & Railroad Magazine, ©2015-2019 White River Productions. All rights reserved. 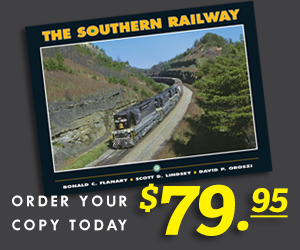 From steam to diesel, mainline to short line, Railfan & Railroad Magazine takes you trackside.